Thundercloud Subs 2016 Annual Turkey Trot in Austin,TX~Don't miss out! It’s hard to believe this year’s Turkey Trot marks the 26th year anniversary! The ThunderCloud Turkey Trot is the largest five mile run in Texas and one of the largest Turkey Trots in the nation with more than 20,000 participants. The race includes a five-mile run, one-mile run and a kids’ K that all take place outside the Long Center for the Performing Arts. The Turkey Trot is an Austin Tradition observed by many Austinites. Four years ago our immediate family made the 5 mile trek together ....grandson Hudson was only 2 months old and rode comfortably the whole way!! At 4 he is running with the Marathon Kids and has run in 2 - 1K runs this year! Gather your friends, family and start a new tradition with running or walking this Thanksgiving morning. Wear a costume..have fun with and get some exercise in before sitting down to your traditional Thanksgiving dinner. Where do ThunderCloud Subs donate the money raised? A 100% of the proceeds go to Caritas of Austin and they have raised almost $3 million! This provides education and support services to working poor people to help them become self-sufficient. Sign up with your family and friends this year to be part of this fun and healthy family tradition, and to help support our community. 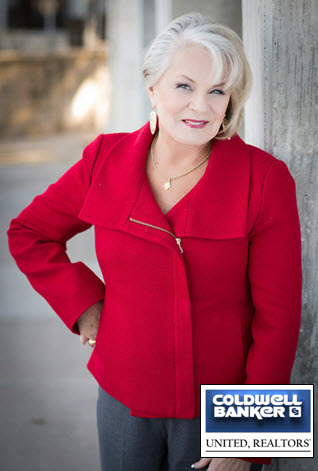 This community service announcement is brought to you by Dorie Dillard, your NW Austin real estate professional with Coldwell Banker United REALTORS. If you are thinking of buying or selling real estate in NW Austin I’d welcome the opportunity to discuss how I can help. Reach out to me at 512-346-1799 or dillard@reloaustin.com. I offer hands-on Professional guidance for all your real estate needs. Hi Dorie this is a great event for Austin. I am sure it will be well attended and people will enjoy themselves. Good morning Dorie. My son and daughter-in-law are doing the Turkey Trot in Chicago on Thanksgiving morning! Dorie, what a fun event for a great cause in Austin. I really enjoyed the video! Good morning, Dorie --- I'm not surprised that HH is participating in this very worthy event. Go, Hudson, Go! Sounds like a great tradition that will likely go on for another 26 years or more! I hope plenty of money is raised for these great causes! Sounds like a great event Dorie. Wow, 26 years! Looks like a huge crowd. 26 years and still going strong...Thundercloud Subs is a good time! Dorie, This is such a great way to start the day and for such a worthy cause. It is certainly something the entire family can enjoy. Dorie, that is amazing. If I lived there I would definitely support this! Dorie Dillard - Your annual Turkey Trot is a great compliment of exercise to the eating we'll do at this time year! Love that it's a fund raiser that helps so many in need!